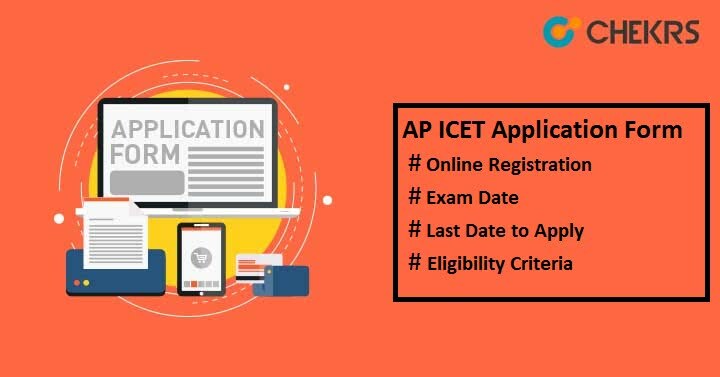 AP ICET Application Form 2019: Candidates who want to take admission in MBA, MCA or 2nd year Lateral entry in to MCA course can apply online for AP ICET Registration Form. Andhra Pradesh Integrated Common Entrance Exam (AP ICET-2019) is a state-level entrance exam conducted by Sri Venkateswara University, Tirupati on the behalf of APSCHE, Hyderabad. Here we have discussed how to register, how to pay application fee, exam dates and complete information related to AP ICET Application Form. Candidates can check the AP ICET Application Last Date here. Dates are not announced yet so we are providing the tentative date based on last year exam date. We will update it after release of official dates. Applicants are suggested to check the listed AP ICET Eligibility Criteria which is required to satisfy for appearing in the examination. Applicants should be an Indian citizen. They must satisfy local/ non-local status requirements of AP state Educational Institutions Orders. For MCA courses, candidates must have degree of 3 years duration from any recognized university or institutions with Mathematics as compulsory subject in class 12th or at graduation level. Minimum Qualification should be 50% marks for unreserved and 45% for reserved categories candidates. Candidates applying for MBA courses must have bachelor’s degree from any recognized university and also have Mathematics as compulsory subjects till class 10th. Candidates can see the step by step procedure to fill the application form. Click on “Fee Payment” tab. A page will appear, fill the entry field, and click on “Initiate Payment” button. Select the payment mode/ type available there and click on “Pay Now” button. After this, pop up message will generate for successful payment. Note down the Payment ID and proceed to next step. Candidates who will pay the fee through AP Online center/ e-Seva Centers, have to visit the nearest centers with the details like Hall ticket no of the qualifying examination, candidate’s name, father’s name, date of birth and mobile no. Pay the cash to the center; you will get a receipt containing the Payment Id. Enter the required details and click on “Check Payment Status” tab. A window will appear with the payment status success/ failure, and then move to the application form page. Click on the option “Fill Application Form”. Enter the payment details like Payment ID, mobile no, hall ticket no. Enter the required details like candidate’s personal details, parents details, contact address, qualification etc. Select the test center and upload the scanned passport size photo & signature according to the specified size and format. Mark on the “Declaration Message” checkbox. Click on “Save” or “Preview/Submit” button. If candidates are confirmed about the data entered, click on the “CONFIRM/FREEZE” button or you can click on “Modify” button to change the details if required. After final submission, pop up message will display with registration no. Note down the Registration no for future use. Click on “Print Application” button to take the print of the filled-up application form. For more query you can ask by commenting in the below comment section. We will respond you soon with the relevant answer. Visit this site regularly to get latest updates. Good Luck!! !